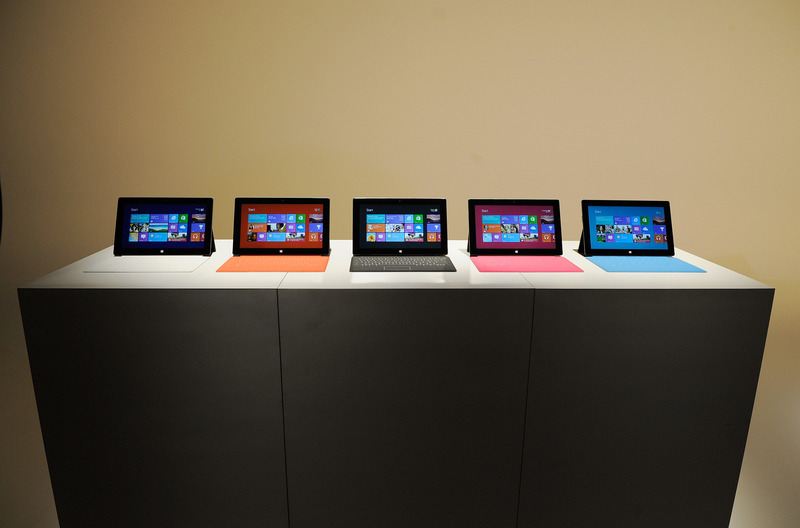 We’re little over a week until Microsoft’s big Windows 8 reveal and the launch of its Surface tablets, but the company’s eagerness to move ahead with its Web marketing suggests that consumers will get the chance to preorder the device a little earlier than first thought. It appears that Microsoft (or an agency working on its behalf) pushed the button on a new Web banner campaign that has been showing up on prominent technology websites including Gizmodo and AllThingsD. Microsoft has remained fairly quiet in regards to its Surface launch, only recently moving forward with new TV adverts and opening a dedicated Surface Twitter account. 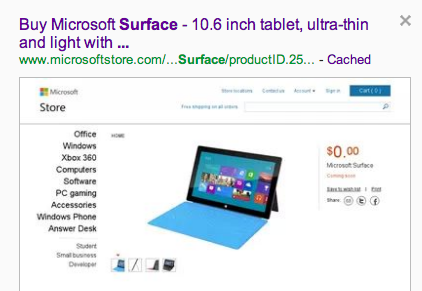 Microsoft has also begun making preparations on its official store, with a cached Google search displaying a placeholder for the device. The pricing is set to $0.00, waiting for Microsoft to finally reveal pricing (and following today’s new banners, possible preorder availability).